Cubism was only one form of artistic expression that resulted from the early scientific investigation into crystals that occurred throughout the 19th century. That investigation and the resulting morphological analysis of crystal formations resulted in a widespread interest in crystal geometry by artists, architects, writer and designers of all stripes. 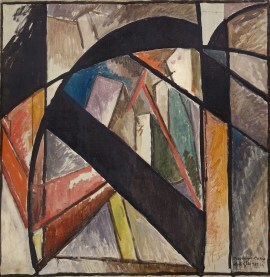 Albert Gleizes quote above captures the broader notion that the era of the crystal captured the imagination of the modern world for more than a century, and continued to live on beyond that, throughout the modern era, transforming to its core the traditional worlds of art and architecture.